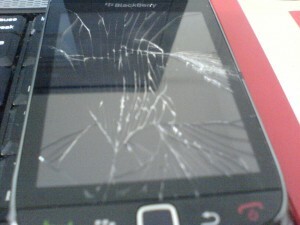 There has been much guessing and debating as to whether the screen on the new Blackberry Torch 9800 is glass, or plastic. Many of the analysts have said plastic, and even the deconstruction of the torch from isuppli says plastic, but make no mistake, the Torch 9800 from Blackberry has a Glass Screen, though not Gorilla Glass. This entry was posted on Wednesday, October 20th, 2010 at 2:23 pm	and is filed under Blackberry Stuff. You can follow any responses to this entry through the RSS 2.0 feed. You can leave a response, or trackback from your own site.